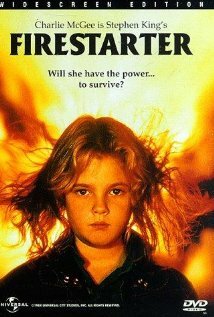 It may be a n older film, but those who are trying to watch some of the earlier movies will want to watch Firestarter. This movie aired in 1984, and it chronicles the starting journey of a young girl that was born with special abilities. Science Fiction fans will enjoy the storyline while action fans will find plenty to watch. There is also a great deal of drama as this young girl struggles to escape from a mysterious organization. To learn more about her tale, the characters, the actors, or more, you need to check out http://www.imdb.com/title/tt0087262/?ref_=sr_1. Younger viewers should be supervised while watching as well; this film gains a five out of five popcorns rating.